Samsung’s developer conference is all set to begin today and the South Korean technology giant will be showcasing its foldable smartphone for the first time there. The company considers it important to get a feedback from developers on what can be the best way for apps to behave when the tablet unfolds. Or, in simpler words, how they should go from smartphone sized screen to a tablet sized screen. Samsung’s VP of mobile communication has confirmed that the company will be showcasing the smartphone’s user interface at its developer conference. And another official from the company said that the images of the device will be revealed. However, we may not get to the device at Samsung Developer Conference, as the company seems to be working on finalizing the design. 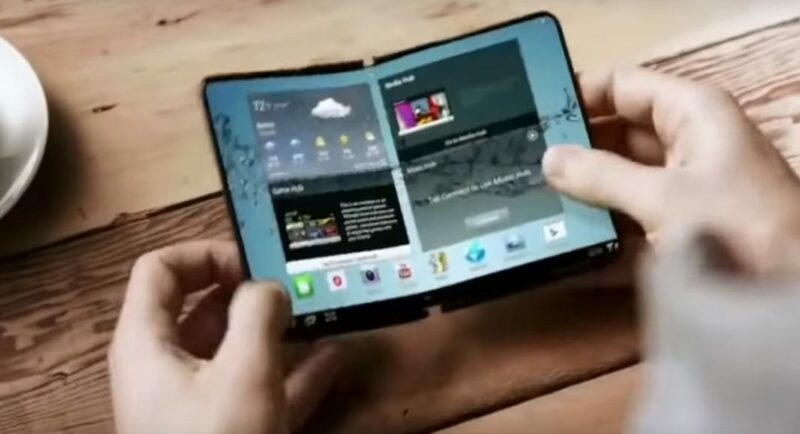 The foldable smartphone by the company is currently being called Samsung Galaxy F and it is expected to launch early next year along with Samsung Galaxy S10 lineup. According to a report that surfaced earlier in The Wall Street Journal, Samsung’s foldable phone is around 7-inches diagonal when unfolded. The same report also disclosed that the upcoming smartphone has been codenamed ‘Winner’. In an interview with Cnet, Samsung’s mobile division CEO DJ Koh said that the company’s foldable smartphone is not a “gimmick product” that disappears just six to nine months after being launched. He explained how it can work as a tablet as well as a smartphone. He also said that unlike Samsung Galaxy Round that was only sold in its home country, the foldable phone by Samsung will be made available in globally.